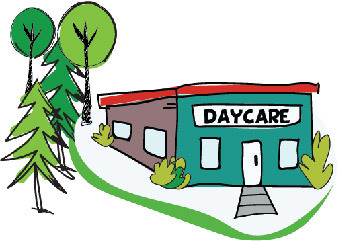 Daycares play an important role in creating supportive environments to develop healthier children. Parents and caregivers can work together to ensure children are engaging in a positive space allowing for physical, social, mental and emotional development. Through these surroundings children and families can be introduced to the 10-5-2-1-0 healthy behaviour messaging and aim to make healthier choices. The consistent health messaging is advantageous to child care settings and supports a more effective continuation of healthy lifestyles habits for children and families. The allocation of resources and adoption of quality programs in daycares will contribute to building a better future for children. The future of child care settings will reflect an environment that prioritizes child health and well-being contributing to a healthier South Georgian Bay. Educate yourself about sleep habits and create a consistent routine for your child or children to help improve sleep quality! Does your child sleep at daycare better than at home? Possibly recreate the daycare sleeping space at home to help your child achieve their 10 hours of sleep and vice versa. Create a nap log book to notify parents how much their child or children sleep at daycare! Be sure to engage children in many physical activities to ensure they are ready to sleep at nap time. Establish a relaxing and quiet environment to allow children to achieve maximal sleep during nap time. Provide children with healthy options including a serving of fruits and veggies in each serving of a meal or snack. Serve a variety of healthy foods at mealtime. Experiment with kid-approved recipes to help children reach the goal of 5 fruit and vegetable servings a day! Learn from daycare providers about the harms of screen time for babies and toddlers and the importance of reducing the amount of screen time a child receives. Encourage your local daycare or preschool to adopt a child care screen time policy to ensure your child is playing and not sitting! Be aware of the Canadian Sedentary Behaviour Guidelines for early years and the Canadian Pediatric Society screen time recommendations. It is important for children to interact with their peers and not with screens in order to encourage learning and social development! Notify the daycare or preschool of your child’s favourite game as they are more likely to participate if they enjoy the activity! Parents should encourage and participate in the activities children learn to help the whole family become more active. Be sure to have fun! Children love to watch and do what you do! Create an activity box filled with various activity cards and all the supplies necessary for each specific activity. Use all activities as teachable moments to share the importance of healthy active habits! Provide your child with a reusable water container to use at the water bottle refill station. Its free, refreshing and helps the environment. Encourage clients, children, youth and families to use the water bottle refill stations or water fountains to hydrate. You’re creating environments that support choosing water first for thirst. Help your children build positive peer relationships! Become actively involved and work collaboratively with the daycare provider to help your child develop social and emotional competence. Be flexible and responsive focusing on the child’s wellness and strengths rather than their weaknesses. Be aware of the developmental stages for infants, toddlers, and preschoolers. Encourage staff to take courses to stay up to date on the changing research on emotional expression and behaviour regulation. Encourage the parent to help you build a trusting relationship with the child so they feel comfortable and safe in the space. Check in regularly to see how your child is doing. Practice their daily daycare or preschool routine regularly at home and allow your child to be self-sufficient. They may know how to hang up their own jacket, so take time to celebrate your child’s accomplishments! Advertise positive parenting programs to all families and consider hosting a workshop or guest speaker to address various parenting concerns and queries. Encourage parents to interact in activities children participated in during daycare hours before and after daycare or preschool! Get to know other parents in the daycare. You could consider creating a clothing exchange or ride shares. Support one another to create a back up plan for when your child may be sick and can’t be at daycare. To make sure your child can participate call 211 to learn more about subsidies. Consider applying for grants and reallocating resources to create healthy environments. Encourage low-to-middle income families to explore child-care subsidies to help alleviate costs. If there is a wait-list support these families to find different childcare arrangements.